** What can we expect in China in 2017? The New Year, of course, is a time when many reflect on the past and look toward the future. The past provides potential lessons and cautions for those who would seek to find tomorrow's solutions in yesterday's actions. In his 1994 book Diplomacy, former Secretary of State Henry Kissinger wrote: "The study of history offers no manual of instructions that can be applied automatically; history teaches by analogy, shedding light on the likely consequences of comparable situations. But each generation must determine for itself which circumstances are in fact comparable." While Kissinger is explicit on the importance of studying and applying history to policy, he is as insistent that history not be misapplied, that the assessment of the past not lead to false conclusions for the present or the future. 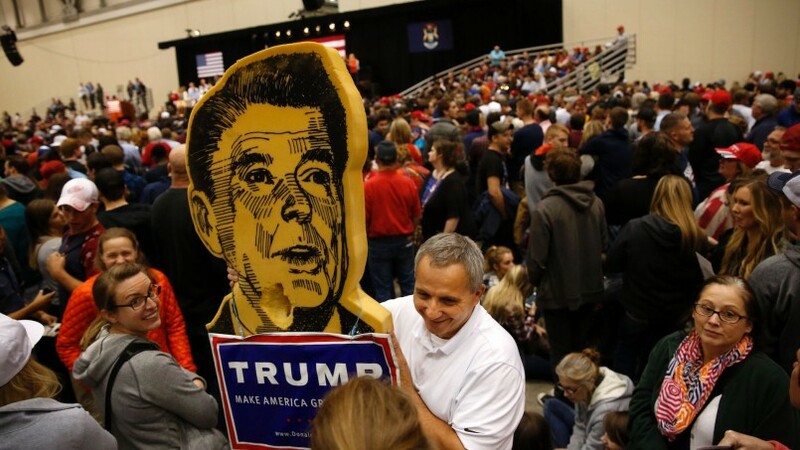 Today, the concept of "Peace Through Strength" popularized by President Ronald Reagan in the 1980s is emerging as a mantra of the incoming Trump administration, its advisers and supporters. The risk of raising iconic personalities and policies from American history is that lessons may inadvertently be misapplied. The concepts may be sound, but the interpretation and application in a different context may lead to wildly different results. * How should India respond to Russia-China-Pakistan triad? Foreign Secretaries of Russia, China and Pakistan in their meeting on 27th Dec, 2016 at Moscow decided to seek “flexible approaches” including the lifting of UN sanctions against select Taliban leaders to broker peace with the group in Afghanistan. The decision comes in the wake of recent attempts by Russia to engage directly with the Taliban amid growing worries about the rise of the Islamic State (IS) in Afghanistan. “Russia and China, as permanent members of the UN Security Council, reaffirmed their readiness for flexible approaches to the prospect of excluding certain individuals from the list of sanctioned persons as part of efforts to promote a peaceful dialogue between Kabul and the Taliban movement,” said a joint statement issued by the Russian foreign ministry on 27th Dec, 2016. Most countries including India have long considered the Taliban as Pakistan-backed and supported militant group and have maintained that any distinction between “good” and “bad” Taliban is untenable and is fraught with risks for stability of the region. Organisational issues, equipment shortages await the attention of new army chief. 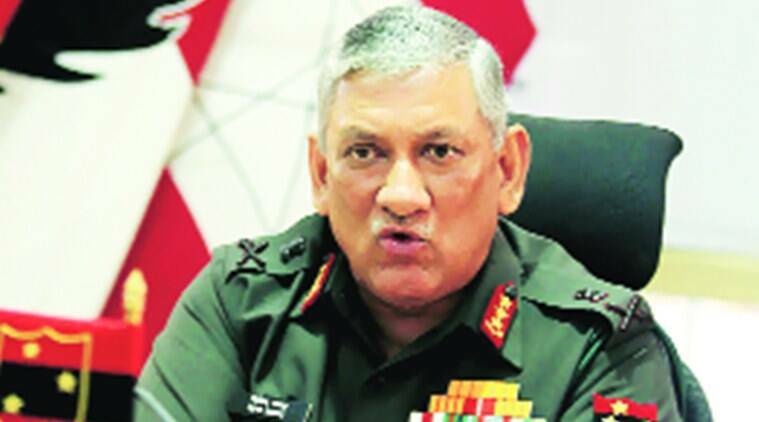 General Rawat is from the infantry and the lack of modern equipment for the foot-soldier ought to be his greatest concern. The turbulence caused by the selection of General Bipin Rawat as the new army chief, superseding two army commanders senior to him, has seemingly calmed down within the first week of the changeover. This calm at the surface could be deceptive because the general inherits a set of challenges which have been exacerbated with the events surrounding his selection. The first of his challenges is the modernisation of the army, which has been lagging for many years. The army had identified a total of 24 modernisation projects, and 11 of them were deemed as critical. Even the critical projects haven’t seen much progress. Although procurement of artillery guns, air defence assets and helicopters has been initiated, the infantry modernisation is in a rut. The infantry soldier today does not even have a modern basic assault rifle. Procurement of improved bullet proof jackets and ballistic helmets for the soldiers have been in the offing but neither has seen the light of day. On December 30, China’s decision to veto India’s proposal to ban Jaish-e-Mohammed (JeM) chief Masood Azhar at the UN capped a terrible year in bilateral ties. China’s economic corridor through Pakistan, India’s invitations to Uighur, Falun Gong and Tibetan activists, the expulsion of Chinese journalists from Mumbai, the Chinese block on Nuclear Suppliers Group membership for India, and the rumblings over the South China Sea all added to tensions between the two countries; the Chinese decision to put a permanent block on the Azhar proposal aggravated them further. China’s decision, to put it bluntly, was outrageous and ill-advised. In the past, Beijing blocked India’s proposals at the UN to designate Hizbul Mujahideen chief Syed Salahuddin and Abdul Rehman Makki and Azam Cheema of the Lashkar-e-Taiba as terrorists, and blocked questions on how designated terrorists Hafiz Saeed and Zaki-ur-Rehman Lakhvi accessed funds in Pakistan despite UN sanctions. But Azhar’s case is different from all of these, for reasons that should be obvious. India and Bangladesh have wasted opportunities for shared advantages. The mistake need not be repeated. History is fine (and sometimes not so fine), but our main inspiration and most compelling reason for inter-state cooperation between India and Bangladesh lies in our location. Just as countries can be prisoners of geography, so can geography be our liberators — if we have the ability to see it. In the case of India and Bangladesh, we seem to have singularly failed to do so. 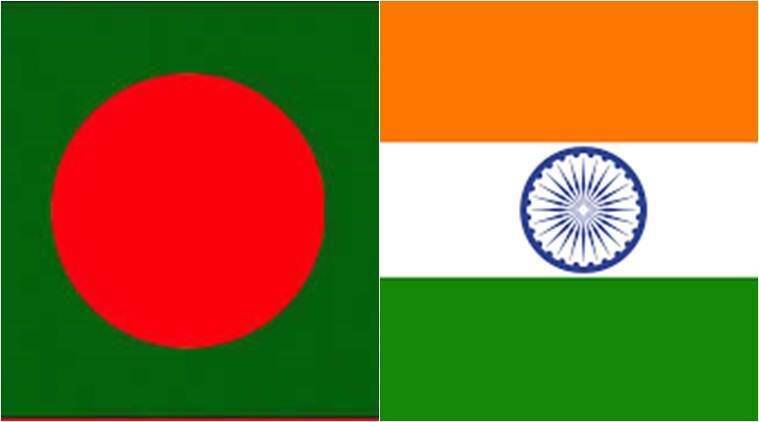 For Bangladesh, India is one of its two neighbours. But that does not tell the whole story. Given its huge all-round presence, it is practically the only neighbour, a giant one with enormous military and economic capabilities, potentially both for good and bad, depending on the nature of the relationship. For India, on the other hand, Bangladesh is one of six contiguous neighbours. Again, that does not tell the full story. Bangladesh is the only neighbour that is practically enveloped within India’s own borders, again with tremendous potential for good and bad. The 2 January 2017 test of the Agni-IV missile will not garner either the headlines or the attention of the 26 December 2016 test of the Agni-V. However, from a practical and strategic standpoint, the Agni-IV represents India’s most viable deterrent weapon against China until the Agni-V enters service. The Agni-IV entered service with the Strategic Forces Command (SFC) in or around 2014, prior to its first user-associated trial in December 2014. Since that time, it may be assumed that the Agni-IV is in production and given its thus far trouble-free user-trials – three of which have now been conducted – it may also be inferred that the SFC is satisfied with the system and is increasingly comfortable with handling and operating the missile. How far can it strike ? The Agni-IV has a revealed range of 4000 km, and represents the successor to the Agni-II. Earlier known as the Agni-II Prime, the Agni-IV is no larger than its predecessor but has a significantly greater range. This reflects a greater use of lighter composites and improved solid-fuel propellants and improvements to the guidance system ensure that even at maximum range, the Agni-IV retains a “two-digit” CEP. The system, being both rail and road mobile, is even more flexible and survivable than the Agni-II. In fact, the Agni-IV is, by virtue of its weight and relative ease of transportation, a versatile delivery system which can be transported more easily than the larger (though much more capable) Agni-V.
India agreed to crack down on bottom trawling, an environmentally destructive and unsustainable fishing practice. On Monday, India and Sri Lanka held ministerial-level talks on their long-standing dispute over fishermen in the Palk Strait, the body of water running between India’s southeast coast and the northern tip of Sri Lanka. Indian Minister of Agriculture and Farmers Welfare Radha Mohan Singh met with Sri Lanka’s Minister for Fisheries and Aquatic Resources Development Mahinda Amaraweera. According to an Indian readout of the meeting, the talks covered “possible mechanisms to help find a permanent solution to the fishermen issues.” The two sides each agreed to release fishermen in the other’s custody as well — a regular practice meant to establish goodwill, encouraging progress on the long-standing dispute. The Indian side agreed to encourage Indian fishermen to avoid the practice of “bottom trawling” — an unsustainable mode of fishing that indiscriminately captures aquatic life, leading to overfishing. On December 26, 2016, India tested the 5,000 plus km Agni-5 IRBM for the fourth time. The test that was conducted from Kalam Island in the Bay of Bengal achieved all the mission parameters that had been stipulated. After user trials over the next 18 to 24 months, the nuclear capable Agni-5 missile will be inducted into the Strategic Forces Command (SFC). On its operationalisation, all targets in China will come within range from India. India’s nuclear force structure is based on a triad: Prithvi short-range ballistic missiles and various versions of the Agni intermediate-range ballistic missile manned by the missile groups of the Indian Army; nuclear glide bombs carried on aircraft of the Indian Air Force (IAF); and, eventually, submarine-launched ballistic missiles (SLBMs) deployed on ballistic missile submarines (SSBNs) with the Indian Navy. INS Arihant, the first indigenously designed SSBN, is undergoing sea trials as of 2016 and a second SSBN is reported to be under construction. However, nuclear-armed ballistic missiles are the sheet anchors of India’s nuclear deterrence at present and will remain so till all the SSBNs enter service with the SFC. On December 24, 2016, two Jama'atul Mujahideen Bangladesh (JMB) terrorists were killed during an operation, codenamed ‘Ripple 24’ at Ashkona in the Dakhkhin Khan area of the capital city, Dhaka. Two women, Jebunnahar Shila, wife of ex-army Major Zahid who was killed in a 'gunfight' with law enforcers at Roopnagar in the capital on September 2, 2016; and Trishna, wife of absconding JMB leader Musa, along with two children, surrendered to Police. On July 26, 2016, nine JMB terrorists were killed during a special drive of the joint forces in Dhaka city's Kalyanpur area. The joint force recovered 13 locally made grenades, around five kilograms of gelatin, 19 detonators, four 7.62mm pistols, seven magazines of 7.62mm pistols, 22 bullets, three commando knives, 12 guerrilla knives and two black flags with Arabic letters. The carnage of the Syrian government’s assault on Aleppo, enabled by Russia and Iran, was unbearable to watch. 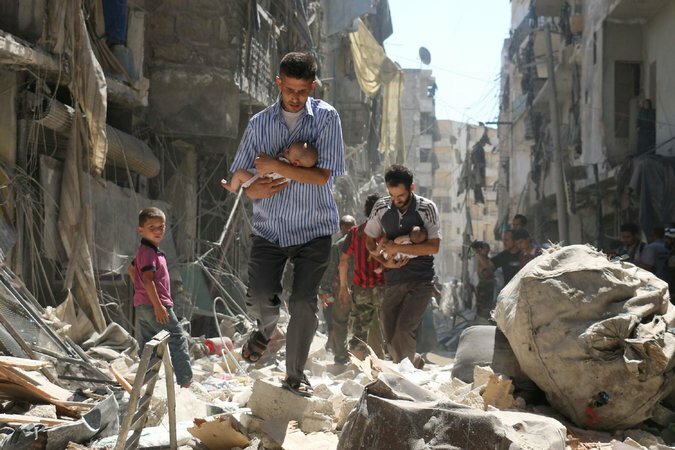 Just as unbearable was the realization that the United States could not save the Syrian people from this horror. That’s hard to admit, and harder for those in the middle of this humanitarian nightmare to hear. But the lessons of how Syria arrived at this moment of catastrophe, and how America arrived at this moment of helplessness, are clear. And if the United States does not learn from them, we will repeat them. The first lessons come from our short-term mistakes, which have prolonged the conflict and misery and increased the human toll of the war. Civil wars tend to end by one of three means: One side eventually crushes the other; both sides fight so long that they reach the point of exhaustion; or an outside power steps in with overwhelming influence to force a settlement between the sides. We most likely watched the first scenario play out when the army of Syria’s president, Bashar al-Assad, together with Iranian militias and Russian forces, stormed Aleppo. Our primary mistake was miscalculating the lengths that Mr. Assad’s allies would go to prop up his rule, while believing our halfhearted measures would be enough to tip the balance. 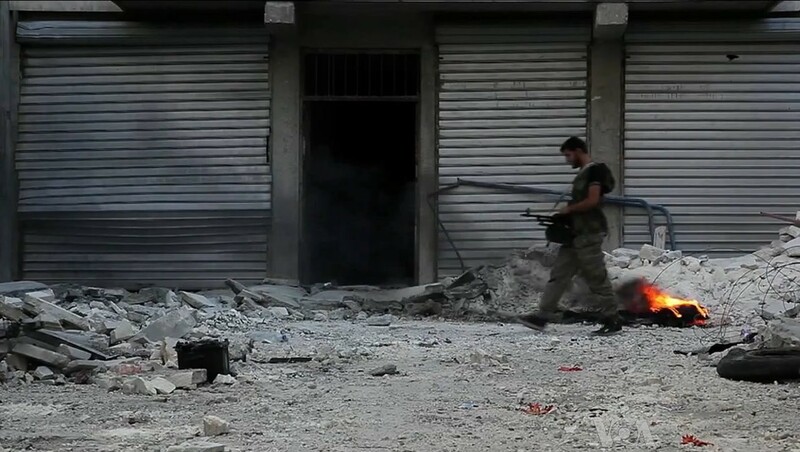 It was hard to greet the announcement last week of a new cease-fire in Syria without wariness. In six years of fighting, more than 400,000 people have been killed and entire cities devastated. This is a conflict that wouldn’t have happened, or lasted so long, save for the cynical brutality of President Bashar al-Assad and his chief allies, Russia and Iran. The cease-fire took effect on Friday, and while violations have been reported, the world has to hope this one will outlast two previous cease-fires in 2016 and prove to be a turning point. One would think Mr. Assad would wonder what he could gain by fighting on. He evicted rebel groups from Aleppo last month and has strengthened his position. The countries guaranteeing the truce — Russia, Iran and Turkey — also wield considerable might on the battlefield. For two years, while bolstering Mr. Assad’s brutal regime, President Vladimir Putin of Russia dabbled with the United States in efforts to arrange the earlier cease-fires and negotiate an end to the civil war. Now, during a fraught transition of power in Washington, Mr. Putin has effectively marginalized the United States and maneuvered into position as the dominant international player in Syria. Another year is upon us. Notwithstanding celebrations that are routine and unthinking for the most part—since the New Year is an artificial construct—many acknowledge that uncertainties and anxieties loom large on the horizon. Barry Eichengreen, in one of his last articles in the year 2016, said he thinks that John Kenneth Galbraith would have called the 1970s the age of assurance instead of the age of uncertainty, had he had the perfect foresight about current times. In its closing weeks before a new government takes over in the US, the Barack Obama administration has shaken the kaleidoscope so much that it might be difficult for someone to rearrange the pieces. The sanctions on Russia and the abstention in the UN security council resolution on Israel have left the world scrambling to respond. It was left to Britain—America’s natural ally—to chide its bigger brother on the other side of the Atlantic for its attitude towards a democratically elected government in a friendly nation. Well done, Britain. In years to come, the presidency of Obama would be rightly judged to be not only economically unproductive but also destructive and divisive. MYSURU: CBI's arrest of Air Chief Marshal S.P.Tyagi, India's former Air chief, in connection with the Agusta Westland helicopter purchase deal is unprecedented. It raises some questions not only about the functioning of government (combination of the political leadership and the bureaucrat-police network), but also about hidden motivations and unintended compromise of national security due to its effect on the morale of India's military. Apart from the valid points made by the Court when granting ACM Tyagi bail, questions arise as to why he was arrested when others involved were not. Was it done deliberately to humiliate him and thereby India's military? Was this the handiwork of bureaucrats and/or the police, and who among the political hierarchy authorised the arrest? These questions are not about whether or not ACM Tyagi is guilty of receiving bribes or any other offence. That matter will be settled by the courts after examining all evidence. But when evidence is still being collected, when ACM Tyagi is cooperating with the CBI in collection of evidence, and there is no prima facie case against him, his arrest smacks of victimization. So, why was ACM Tyagi singled out for humiliation? WASHINGTON — Georgia-based company DataPath will be the U.S. Army’s new lead support for satcom field services, as well as supporting the Pentagon’s Combatant Commands, after winning a more-than $300 million contract, the company announced. Known as the Global Tactical Advanced Communication Systems services contract, it’s the Army’s main contracting vehicle for getting field support downrange for satcom terminals and controllers, including both hardware and software support. The 2016 version of the contract is set to run for four and a half years and is estimated at $363 million. It also represents a unification of several previous existing agreements that operated as an indefinite-delivery, indefinite-quantity contract with multiple provides essentially pre-qualified to bid on specific tasks. Now the Army has put those efforts into a single contracting vehicle, which it awarded to DataPath. Whether you are a cybersecurity professional, policymaker, or student, this article is a beginner’s guide to understanding the ‘musical scales’ of cyberwar. As such, it addresses what constitutes a use of force in cyberspace and how states may lawfully respond. The following is an excerpt from Hiding Behind the Keyboard by authors Brett Shavers and John Bair and published by Syngress. This section from chapter 2 explores the Tor Browser. Few Internet technologies have had more of an impact on anonymous Internet use than The Onion Router browser, commonly known as "Tor," Tor is simply an Internet browser modified from the popular Firefox Internet browser. The browser modifications hide the user's originating Internet Protocol (IP) address when surfing websites or sending e-mail. By hiding the true IP address of the user, attempts to trace or identify the user are nearly impossible without the use of extraordinary methods. Tor combines ease of use with effective anonymity in which practically anyone can use without technical instructions. The sheer ingenuity of the Tor browser combines ease of use without any requirement of how the software operates to operate effectively. Although there are other means of browsing the Internet anonymously, the Tor browser is by far one of the simplest to use and is freely downloaded. In theory, anyone with an Internet connection and the Tor browser can anonymously surf the Internet and communicate without being identified. Making good on its promise from earlier this year, Google will start blocking Flash content in its Chrome browser and switch to HTML5 by default. At first, the changes will only affect a small percentage of users and websites before gradually being rolled out to include all users and websites. Those affected by the change will no longer be able to see Flash content unless they choose to enable it manually for a specific website. Google has also stopped accepting Flash-based advertising across its ad networks and will stop displaying them entirely starting in January. These days, Flash is widely regarded as a performance-hampering safety hazard and more and more companies are turning their back on what was once the industry standard for animated content. Slowly but surely, Flash’s footprint across the web is vanishing: In October 2016, just 10 percent of websites in the Alexa Top 10,000 used Flash, down from almost 50 percent five years ago. The following is an excerpt from Hacking Web Intelligence: Open Source Intelligence and Web Reconnaissance Concepts and Techniques by authors Sudhanshu Chauhan and Nutan Panda and published by Syngress. This section from chapter 8 explores anonymity with a proxy. There are many ways to be anonymous and there are many aspects of being anonymous. Some might focus on the personal details to be hidden such as in social networking sites by using aliases, generic information or fake information, generic e-mail id, and other details. Some might want to be anonymous while browsing so that nobody can track what resource they are looking into. Some might want to hide their virtual identity address such as IP address etc. There are different ways to achieve the above conditions. But the major and popular solutions available are either proxy or virtual private network (VPN). Though there are other methods to be anonymous but still these two are widely used and we will focus on these majorly in this chapter.